Norman S. Wright recognizes the importance of energy-efficient HVAC systems. Our product lines support sustainable building design, helping customers to minimize power consumption and environmental harm: HFC refrigerants, evaporative cooling, displacement ventilation, and under-floor air distribution. A public agency, StopWaste.org oversees the sustainable practices and disposal activity of 14 incorporated cities and approximately 1.5 million residents. 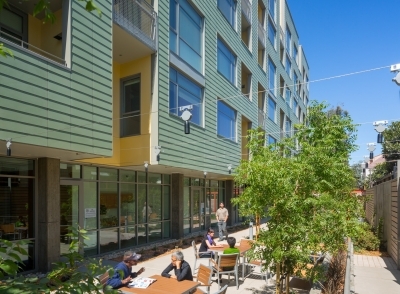 This sustainable retrofit project centered on a renovation plan that sought LEED’s highest new rating—platinum certification. 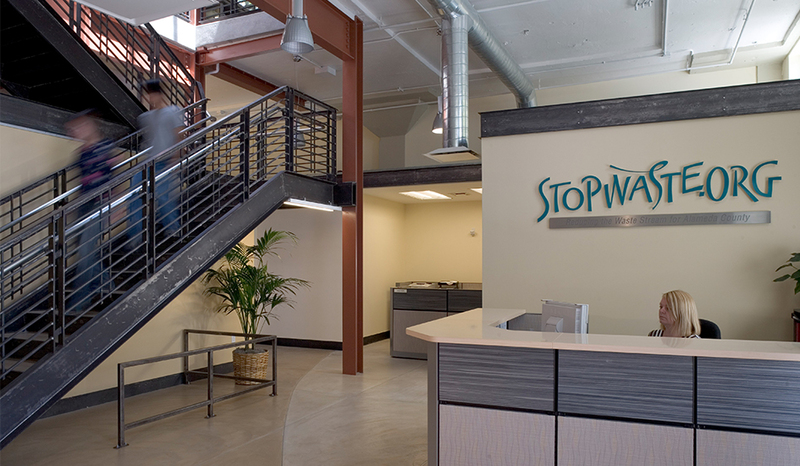 Despite the small project budget, StopWaste.org made the decision to elevate its original goal of silver to the new platinum level, which meant earning all possible energy credits and undergoing LEED’s enhanced commissioning requirements. Norman S. Wright worked with the mechanical engineer to ensure every piece of equipment operated effectively in this highly specialized design framework. Sales engineers provided the data to inform the final procurement decisions that were tested to the extreme in the special commissioning process. Norman S. Wright provided: 1) the thermally-powered VAV ceiling diffusers complete with separate set points for VAV heating and cooling; 2) thermally-powered VAV ceiling diffuser with plaster mounting frame; and 3) low-energy VAV terminal-green VAV diffuser. With three office master zones, sales engineers also selected a high-efficiency packaged Direct Expansion (DX) and gas heat rooftop Air Handling Unit (AHU) with a variable-speed fan. Plus, every diffuser included self-contained controls that integrated with the Building Management System (BMS), which provided easy maintenance and operational performance advantages.